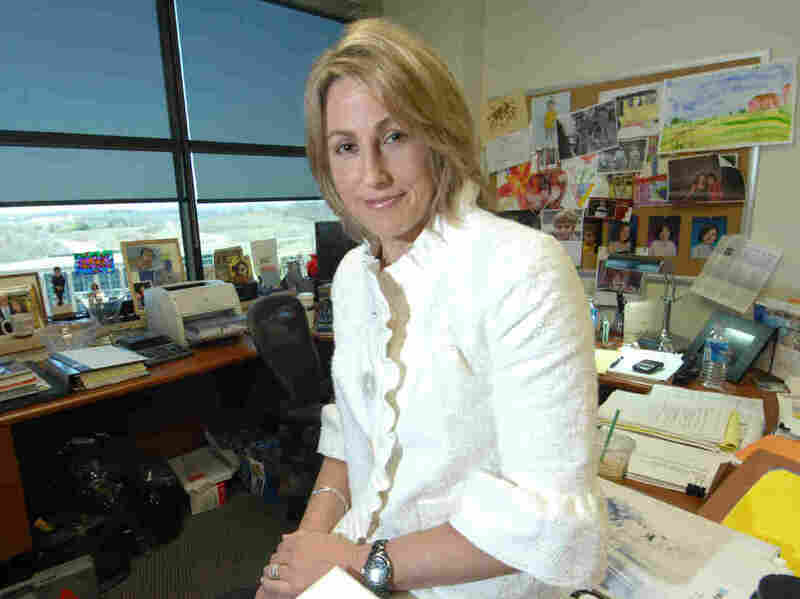 EpiPen Profits: $50 Per Injector, Company Says : Shots - Health News In testimony prepared for a congressional hearing, Mylan CEO Heather Bresch says the company makes about $50 in profit on each EpiPen. Analysts say it's still a hefty margin. Heather Bresch, CEO of Mylan Pharmacueticals, will face lawmakers' questions Wednesday about the company's steep price hikes for the company's life-saving EpiPen auto-injector. The drug company that makes the EpiPen says it isn't nearly as profitable as many people assume it is. At least that's the message Mylan NV CEO Heather Bresch will try to deliver to members of Congress today. Bresch, who is scheduled to testify before the House Oversight and Government Reform Committee, is expected to tell lawmakers that the company earns $100 profit on each two-pack of EpiPen auto-injectors, even though they carry a $600 price tag. "The misconception about our profits is understandable, and at least partly due to the complex environment in which pharmaceutical prices are determined," Bresch says in prepared testimony. "The pricing of a pharmaceutical product is opaque and frustrating, especially for patients." Bresch says it costs the company about $69 to make two EpiPens, and after rebates and fees, Mylan receives $274 per EpiPen pack. She says other, unnamed costs absorb an additional $105, leaving $100 in profit for the company. While the company apparently is looking to use the analysis to downplay its profits, analysts say the margin is still quite high. Ronny Gal, a pharmaceutical industry analyst at the investment firm Sanford Bernstein, says Bresch's numbers mean Mylan makes a 40 percent profit margin on the device. The EpiPen is a long, plastic tube that automatically injects a dose of epinephrine — or adrenaline — into a person's thigh to stop an allergic reaction. It's easy to use and portable. Mylan bought rights to the EpiPen in 2008 and launched an aggressive marketing and awareness campaign. That effort has made the so-called auto-injector a must-have for anyone with a serious allergy — perhaps to bee stings or tree nuts — that may trigger anaphylaxis, a life-threatening reaction in which the airways swell and close. The company has come under fire in recent months, however, because it raised the price of the device, which has been available for decades, more than 500 percent. The wholesale price of a single pen was about $47 in 2007, and it rose to $284 this summer, according to Richard Evans, a health care analyst at SSR. But consumers can no longer buy a single pen, so the retail price to fill a prescription today at Walgreens is about $634, according to GoodRX. Mylan has tried to quell the criticism first by offering customers a coupon worth up to $300 to offset the price of the device, and then announcing it would bring a generic version of the EpiPen to market for half the retail price. In addition to the investigation by the House Oversight committee, at least three senators have also called for investigations into Mylan's pricing practices. Sens. Charles Grassley, R-Iowa, and Richard Blumenthal, D-Conn., have sent letters to Mylan demanding an explanation for the increase. Mylan responded with a letter that Grassley, in a press release, said was "incomplete." And the Senate Finance Committee is reviewing the rebates that Mylan offered to the Center for Medicare and Medicaid Services. In her testimony, Bresch says the company did not intend for its price hikes to hurt patients. "Looking back, I wish we had better anticipated the magnitude and acceleration of the rising financial issues for a growing minority of patients who may have ended up paying the full [Wholesale Acquisition Cost] price or more," she says. "We never intended this."